The Biobank located on the ground floor is the largest repository of biospecimens in the country. It houses The Malaysian Cohort Biobank which has collected biospecimens from a large number of individuals from all over the country, and also the UKMMC-UMBI collection of biospecimens (blood and tissues) from patients with diseases such as cancers, obesity, diabetes, and others. There are quality management systems in place and the facility is secure and access is limited. There are also temperature monitoring and alarm systems in place. UMBI provides researchers from the Faculty of Medicine and the UKM Medical Centre with resources and expertise to store biospecimens from patients. Our Biobanking form is approved by the UKM Research and Ethics Committee and informed consent is taken from patients before their biospecimens are taken for storage. 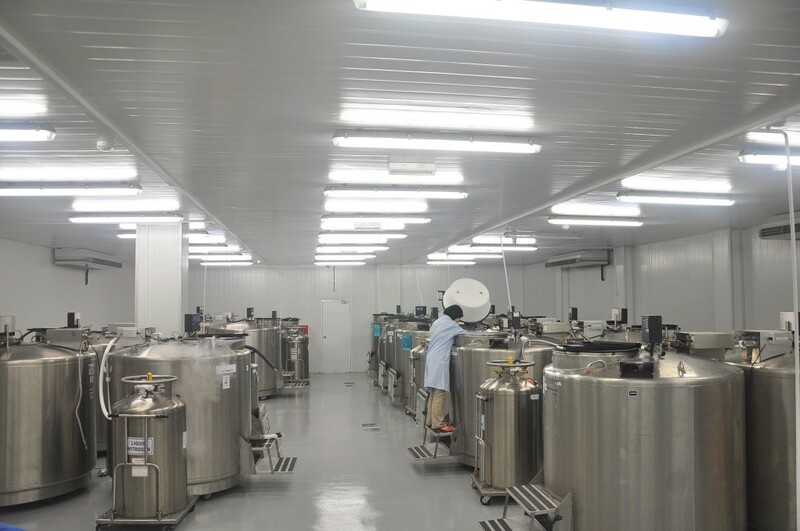 The Malaysian Cohort section of the Biobank has 24 liquid nitrogen tanks. The UMBI-UKMMC section is equipped with -80°C freezer and a smaller number of liquid nitrogen tanks fitted with advanced temperature monitoring system for biospecimen storage.